Uniquely designed to securely hold a lovely princess cut diamond. This 14k white gold tension setting tapers from 10mm to 6.8mm in width. A stunning ring that perfectly showcases the dazzling princess cut diamond that you choose just for her! 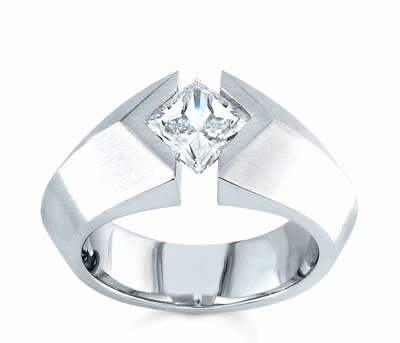 This setting will accept a 0.75ct to 2.50ct princess cut diamond.